Carol McBride, category director, Sweet Business Unit North America, confirmed the opening of the site, that is expected to serve all segments of the sweet goods category. 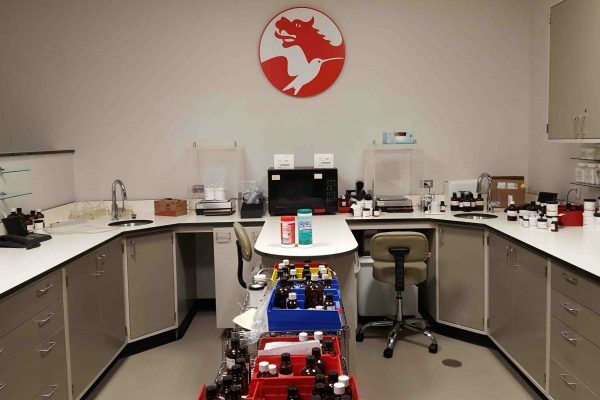 The new lab will assist customers throughout the development process, from initial prototypes to larger scale samples. applications that meet our customer’s particular goals,” said the technical team leader. Collectively, the applications team has more than one hundred years combined experience working on the application of both liquid and powder format flavours to sweet goods. 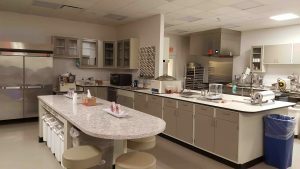 The modern lab, with its view of the New York City skyline, features a number of technological features designed to improve the team’s capabilities, ensure food safety and enhance hygiene. Among these are a positive pressure air flow system that keeps the air clean and regulates temperature and humidity; a fully computerised steam injection milk and dairy processor; a dedicated area for fruit preparations; a new flavour carousel system that helps the food scientists and applications staff work more efficiently; and a spacious, walk-in freezer and cooler. There is also a significant amount of space available for customers to work hand-in-hand with the Symrise Sweet team on their projects, yielding real-time results and high productivity. Symrise application specialists are skilled in a variety of sweet application areas ranging from chewing gum to ice cream, cookies and nutrition drinks. In addition, the Sweet Business Unit team works with customers on matching, masking and enhancing existing products. The company has pilot scale equipment available for tableting, fruit preps, soft and hard pack ice cream, cookie sheeting and starch moulding.